No hanging about with this tape, we’re straight in to The Last Resort. 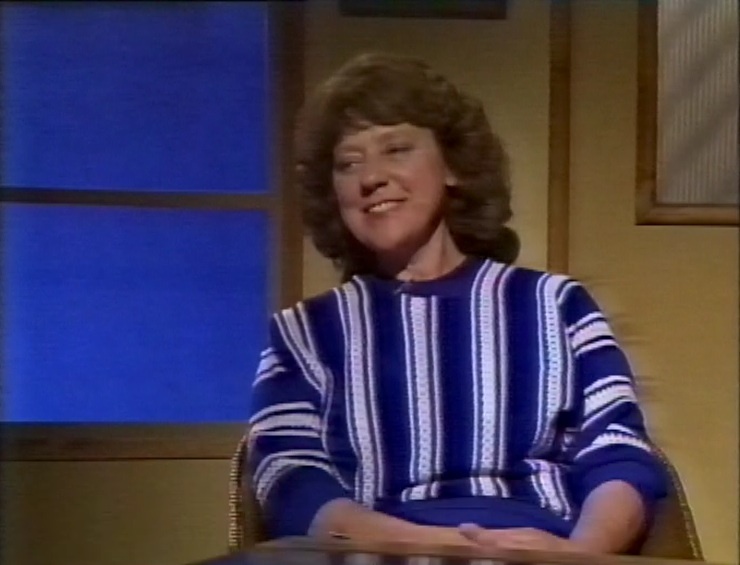 The first guest is Beatrice Lydecker, who ‘talks to animals’ with ‘a form of ESP, non verbal communication’. 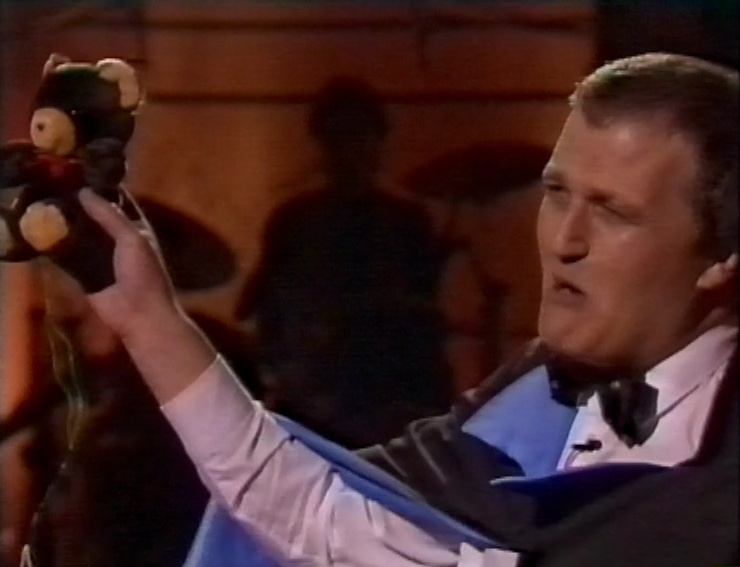 Next comes speciality act Steve Murray, who does comedy magic with teddy bears. 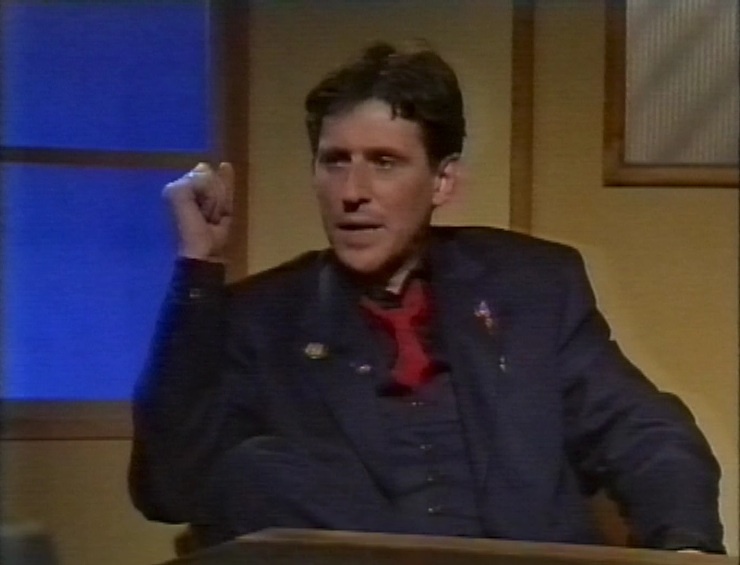 After the break, the guest is Gabriel Byrne. Next, the musical guest is a cut above the norm. It’s only Elton John. And not just playing music, he’s also interviewed, where he talks a bit about Watford, recently relegated from the first division (what’s now the premiership). There’s also a brief fashion show of some of Elton’s old stage outfits, which he was selling off. Then he finishes with a song that has always moved him from an early age. 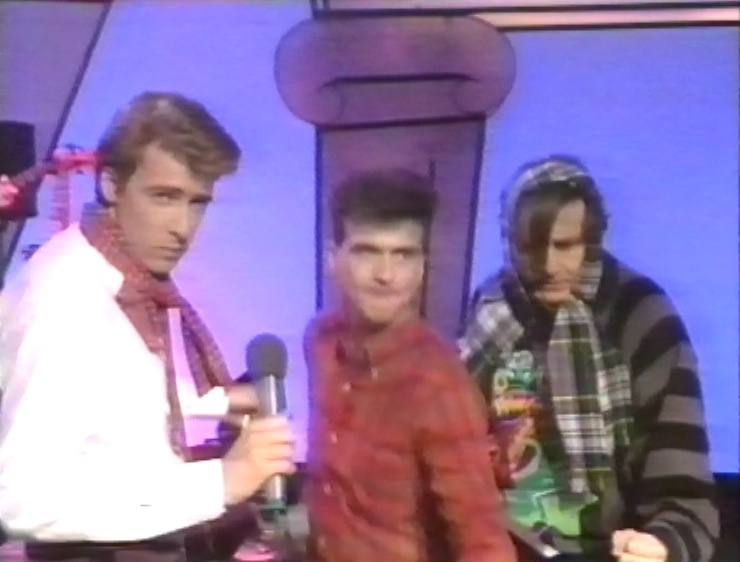 Following this episode is a random episode of Four on the Floor, the Canadian four-man sketch show that wasn’t The Kids in the Hall. 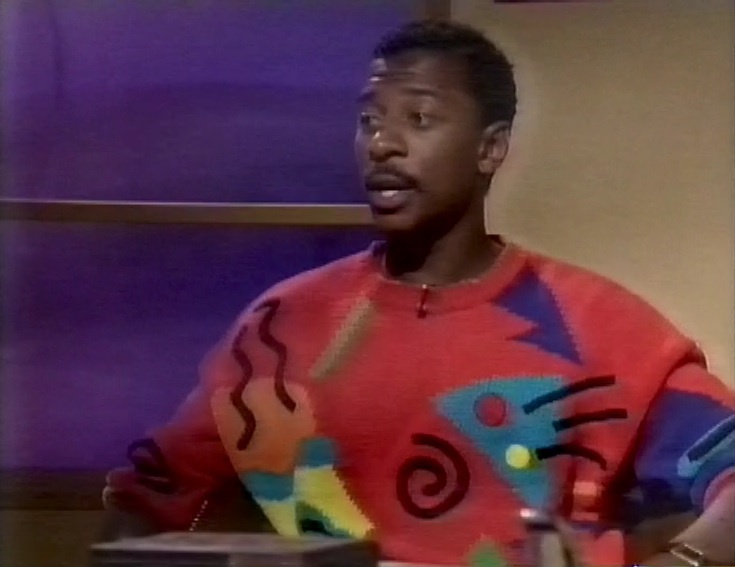 Then, more from The Last Resort, featuring Robert Townsend talking about Hollywood Shuffle. Also to promote the Nelson Mandela concert which was happening the next day. There’s music from Lyle Lovett. Who was once married to Julia Roberts. Now that version of Notting Hill would have been interesting. 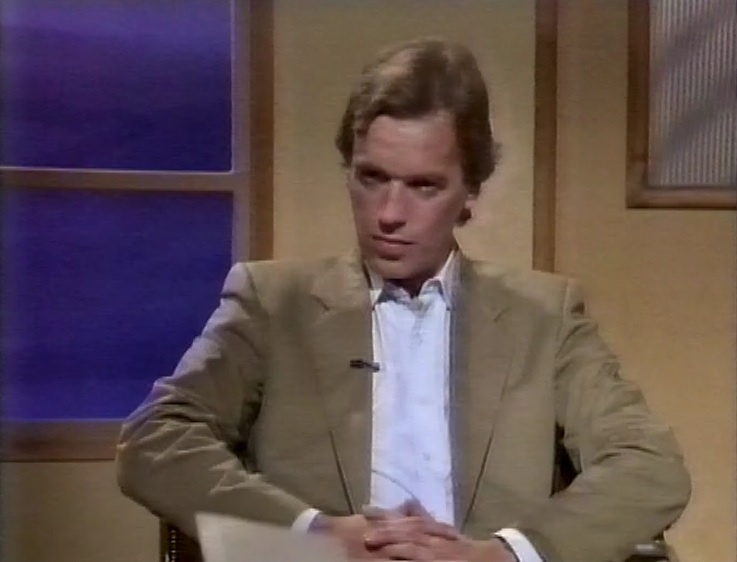 After the break, we have Martin Amis, who (as we saw) was supposed to appear in an earlier show. After Amis, there’s a callback to the previous episode, and another brief glimpse of Elton John. 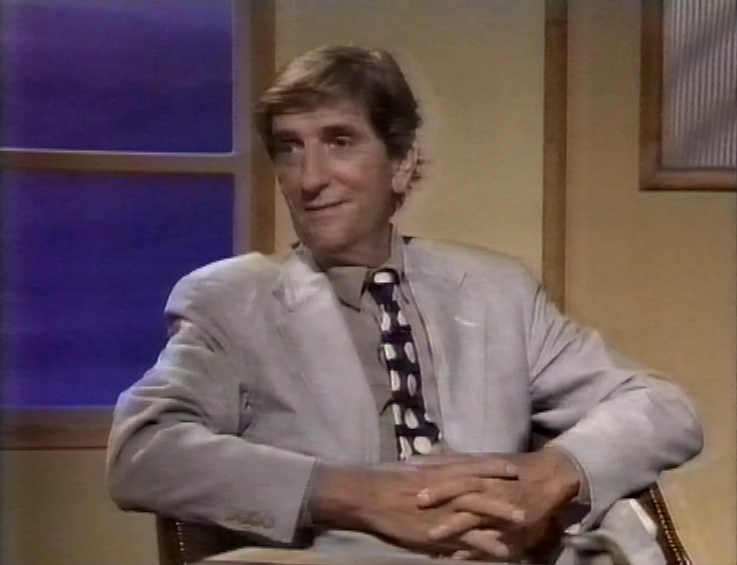 The final guest is the first appearance of Harry Dean Stanton, who returned in the Palladium episode. 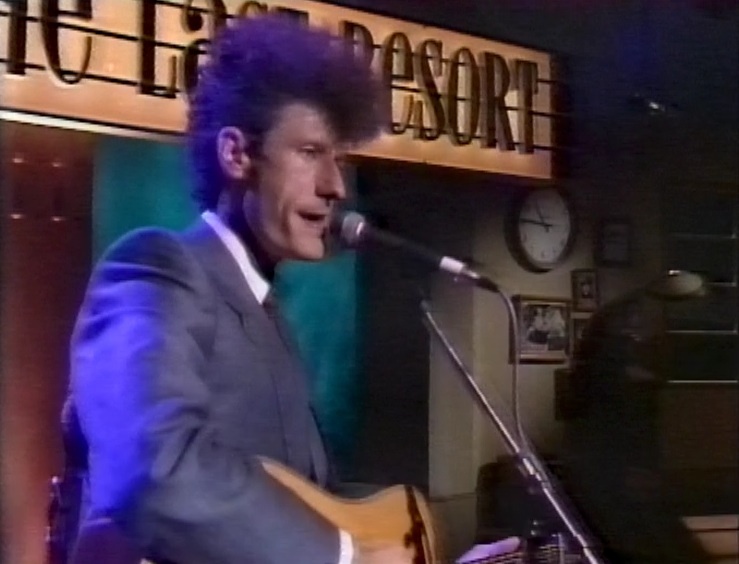 He also performs ‘Wooly Bully’ at the end, with Lyle Lovett and Robert Townsend on backup. Before the next programme, there’s a trailer for Wired with Steve Winwood talking about his new album. Also a trailer for The National Health, a comedy from 1973 by Peter Nichols and Jack Gold. Back to The Last Resort, with first guest the author Molly Parkin. Rowland Rivron turns up yet again as Dr Martin Scrote. Melissa Morgan is the musical guest. 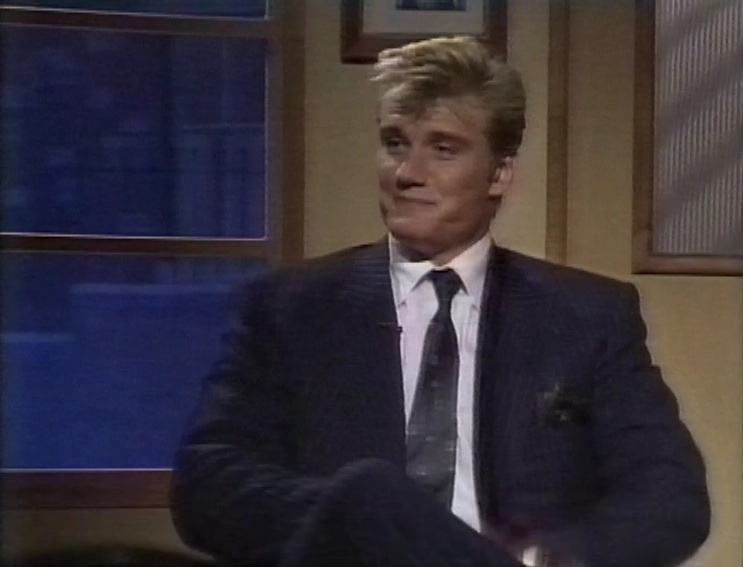 There’s a bug Hollywood guest next, in the form of Dolph Lundgren. After this episode, we switch straight into another episode, already in progress. I hate it when that happens. 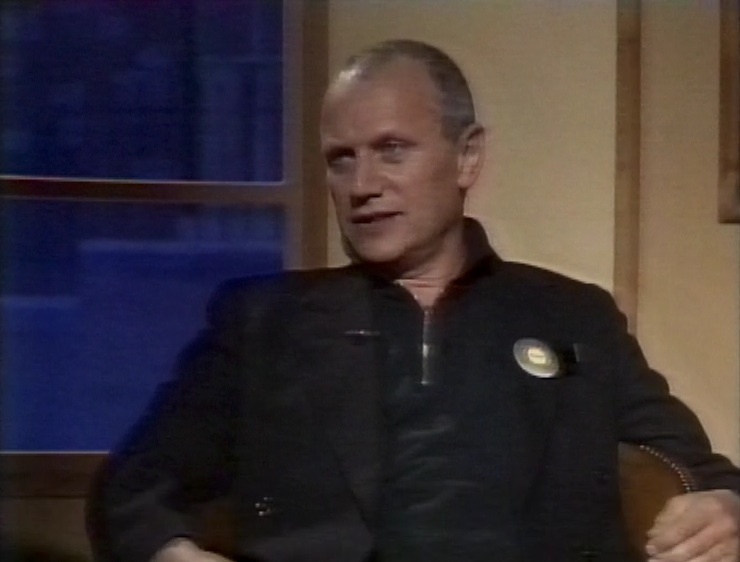 The first interview here is Barry Humphries. Then Bay City Roller Les McKeown plays the show out, with some guest performers. This looks like is was dubbed onto this tape from another tape. The picture is a lot brighter, and the credits have a different typeface, so I think it was from a different series. That might explain why only the Barry Humphries interview is there. After this recording, it stops, and underneath there’s another recording. It’s Wired, the music show, talking to an Australian singer from Midnight Oil about Aboriginal rights. Plus, Johnny Walker talks to Steve Winwood. “A couple of 19, 20 year olds came up and asked me why I was doing a cover of a Blues Brothers song.” (Gimme Some Loving). Recording stops after the interview with Steve Winwood, during some ads. Goldstar Microwaves – looks like Stephen Appleby doing the art.